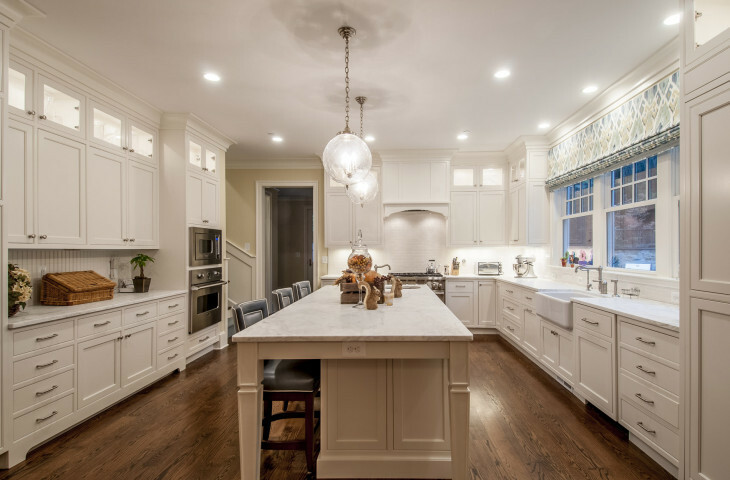 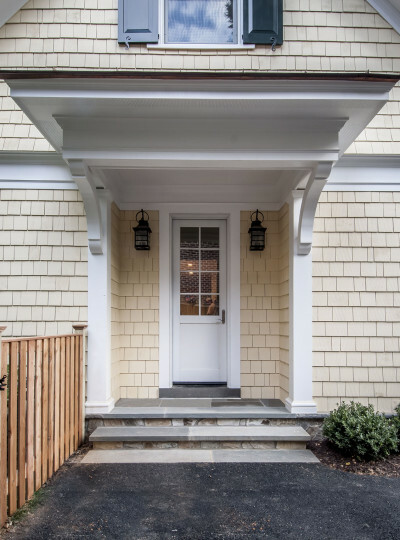 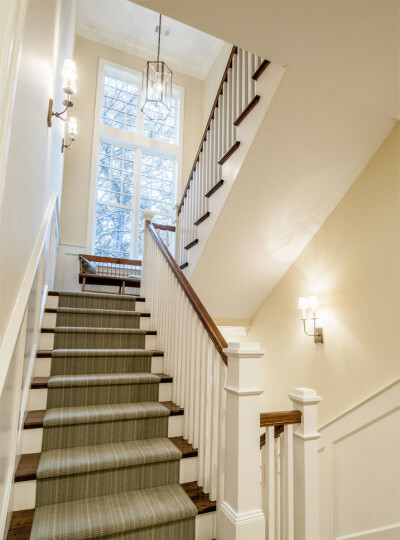 Sited comfortably on a quiet neighborhood corner lot, within walking distance to the restaurants and shops in the heart of Bethesda, is this Queen Anne inspired Shingle Style custom home. 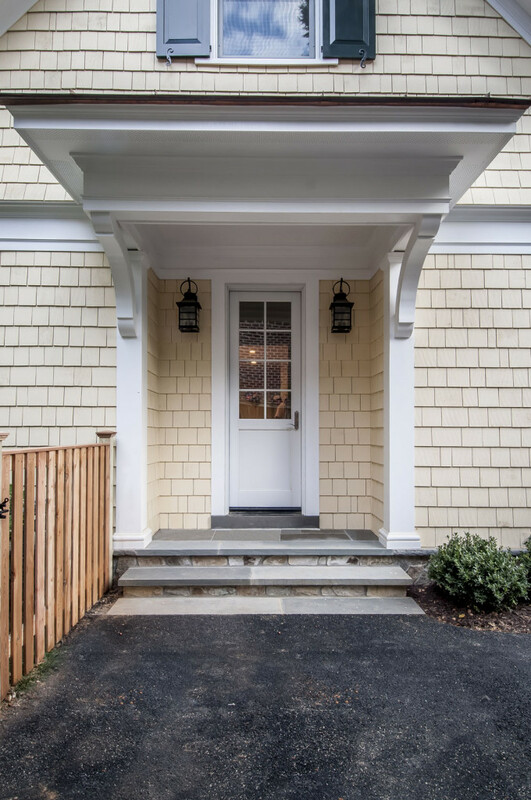 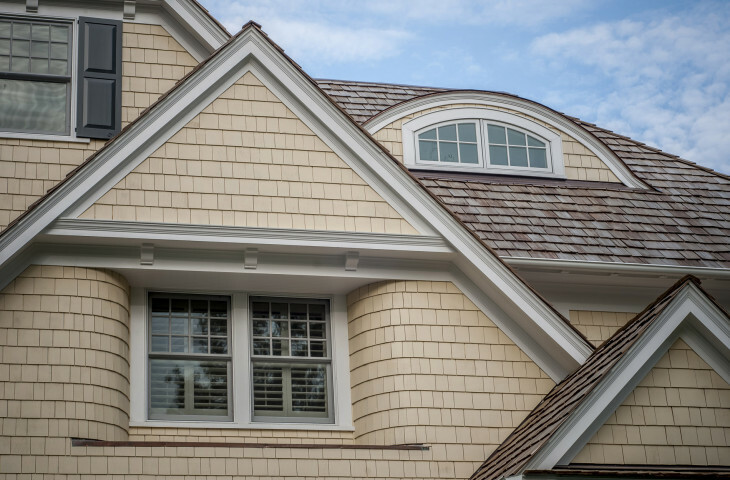 The combination of brilliantly painted cedar shingle siding, earthy stone walls and whitewashed architectural trim woodwork provide a traditionally styled envelope to four levels of interior living space. 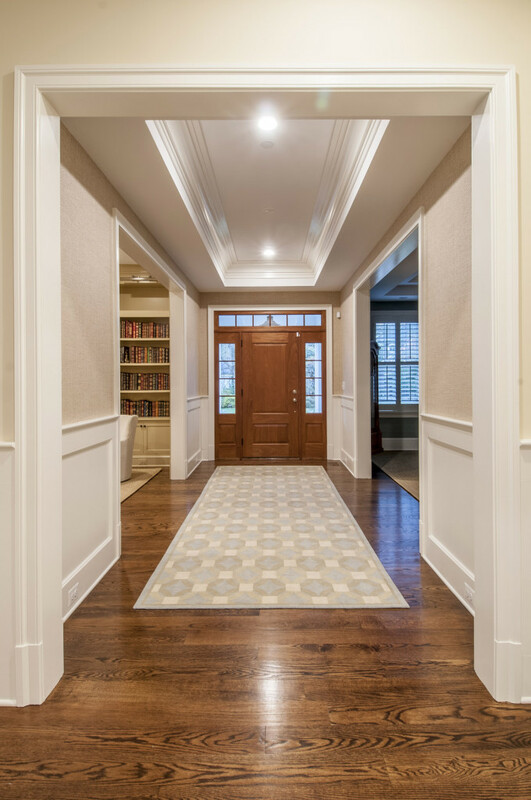 The home greets guest through a traditional wrap-around front porch, from which one begins a sequence of indoor circulation through the deep and broad first floorplan. We were careful to provide a feeling of “openness” to the plan while clearly defining each room. 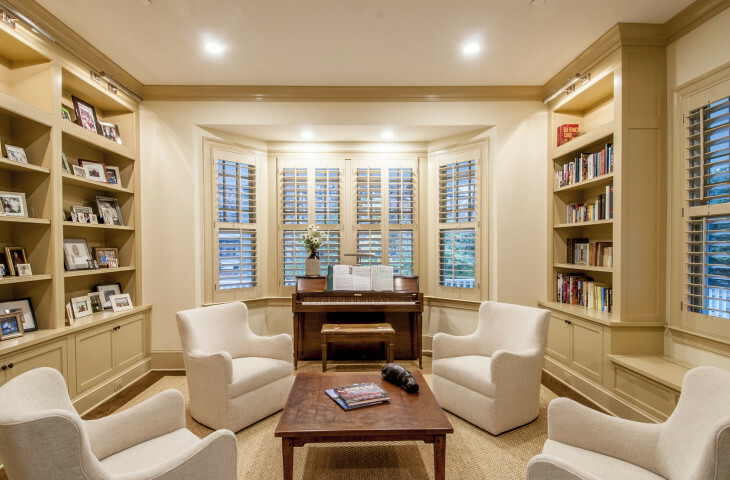 This is done by allowing views to the outside, in different directions, through adjacent rooms. 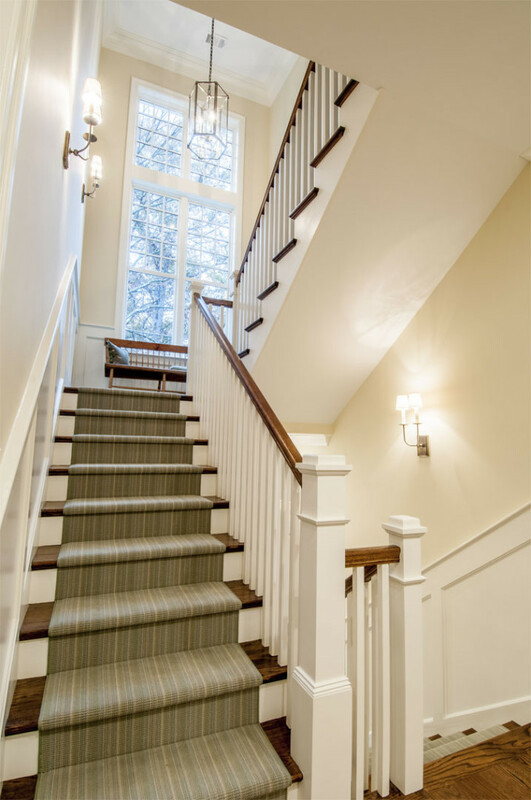 The spirit of natural light is further enhanced by a large expanse of windows into the grand staircase spanning from the second floor to the basement living space.